On a recent ski trip in Lake Tahoe, California with my teenage sons, we hit the lifts at 9 a.m., aiming for a ‘warm-up run’. We ended up on a double black diamond, which my kids flew down with ease. While I would have appreciated a milder start to my day, I was thrilled. When I introduced my kids to skiing as preschoolers, this had been my end goal: that one day, they’d all out-ski me. Fast-forward 10-15 years, and not only are they expert skiers and snowboarders, but they’re also largely independent, which means that after they wear out their father and me, we can go enjoy the après-ski scene while the kids take a few more laps. Easy! Getting to this point is the hard part, however. While the image of your young child enjoying the slopes is a rosy one, it does take some effort to get there. Skiing involves a lot of gear, occasional white-knuckle driving on winter roads, and all types of weather conditions to endure. Persevere and you’ll give your child the lifelong gift of skiing. And your family will have a group activity to enjoy together. 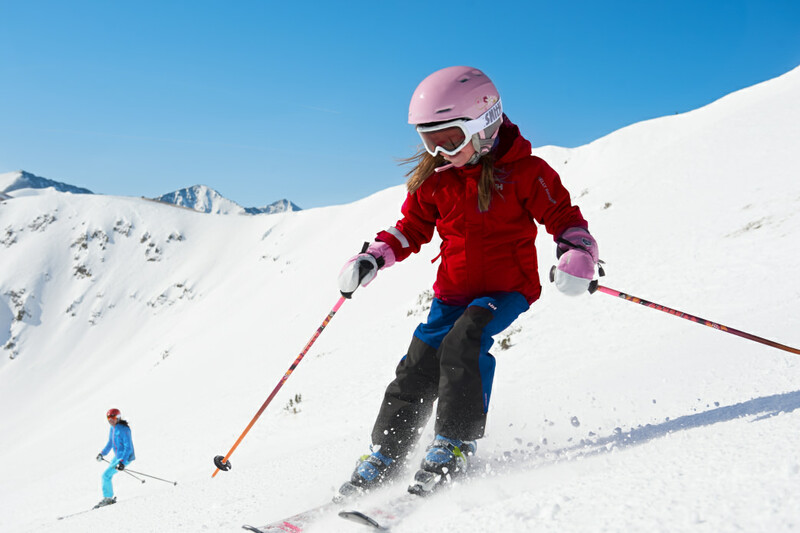 Here are a few tips for introducing your child to skiing. Set your kids up for success. While we started our older two children on skis at three years old, we jumped ahead of ourselves and tried to put the youngest on the slopes at two. I say ‘tried’ for a reason: he was really no more than dead weight in a ski suit as we tried to navigate the bunny hill. If you have kids under the age of three, get them used to the concept of winter recreation by enjoying snow play with them. Look for a ski resort that offers nursery care that gets kids outside. Your very young child can enjoy short bouts in winter weather without having to deal with all the gear and without attempting to learn to ski yet. By three, most kids are ready to don skis and try to make their first ‘pizza wedge’ (snow plow turns). Don’t sweat it if you are just beginning to ski with school-aged kids, however. They’re in that sweet spot where they’re still fearless and not yet self-conscious! Send your kids to ski school instead of trying to teach them yourself. Even if you’re an expert skier, it can be hard to teach your own child to ski or snowboard. Instead, leave it to those who have trained specifically in the art of getting young kids to link turns (and enjoy it). The best ski schools we’re experienced have dedicated warm-up lodges for kids in the program and very specific level requirements (so they can place your child in exactly the right level for his or her abilities). 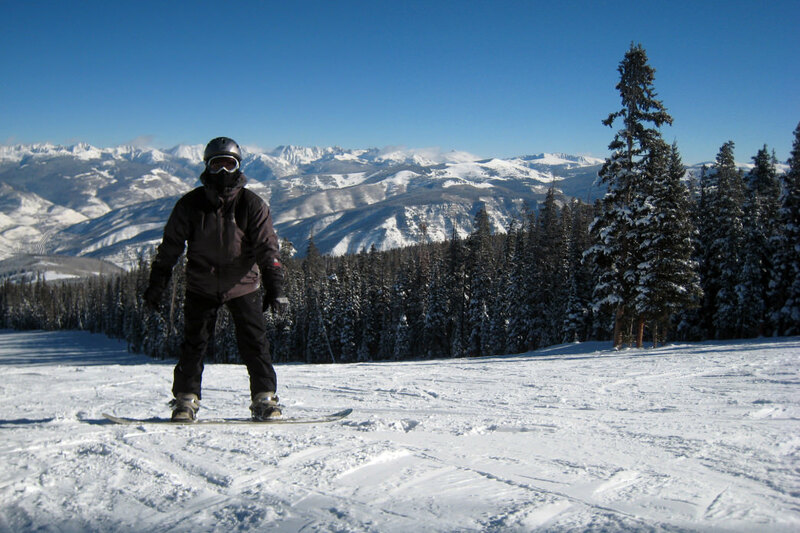 Northstar’s Burton Academy is a great one for snowboard-specific instruction and Keystone Mountain has a wonderful ski school. 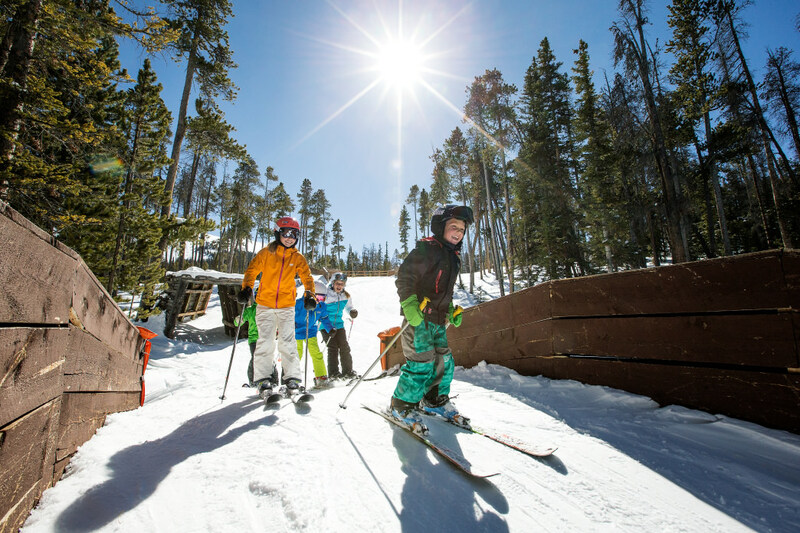 Both of these Vail Resorts programs will pair your child with the same instructor each day and give you a full report (plus written report) of the day’s progress. Consider a private family lesson if you want to watch your child progress and learn how to help support his or her instruction. While many people assume private lessons are out of reach of their budget, since up to six people can be on the same private lesson, it’s often more affordable than you might think. No matter which ski school you pick, be consistent. No one learns to ski in a day, or even in one vacation. If you are planning a single ski trip this winter, consider breaking your time up into two shorter trips (ideally to the same destination to receive the same instructor and pick up where you left off). If you’re lucky enough to live within easy driving distance to a ski resort, consider signing school-aged kids up for a season-long program. Even racing programs, which sound intimidating or intense, can sometimes offer the best consistent instruction all season long. Kids will likely need new gear each season, so look for deals and rental programs. Ski gear can be expensive, but it doesn’t have to be. Shop in early fall at your local ski swap or at tag sales when kids are small. Better yet, check out the Junior Trade In program at your local Colorado Ski and Golf, Epic Mountain Gear, or Any Mountain Outdoor Store. It works like this: purchase a pair of skis, boots, and poles for your child. You can trade the gear in anytime for a new size during the season at no cost, and bring the used gear back the following season for 50% off whatever your child needs in the new year. Any child (or adult for that matter) on the slopes will need a helmet, waterproof gloves or mittens, and snow pants and jacket in addition to the actual ski gear. Some brands make ski jackets and pants for kids that grow with them, with expandable hems you can simply take out as they get older. Consider breaking one long family vacation into two smaller vacations to give your child more opportunities to get on the mountain. When planning a ski vacation, consider upgrading your accommodations to ski-in, ski-out locations. Options like the heart of the village at Beaver Creek, Colorado, and the many upscale hotel rooms at Park City Mountain Resort in Utah make getting on and off the slopes very easy. In Breckenridge, Colorado, opt for a townhouse with a full kitchen and living space within easy walking distance of the lifts. Being within walking distance of the slopes saves parents a lot of time and effort carting gear, driving, parking, and hiking to the lodge. 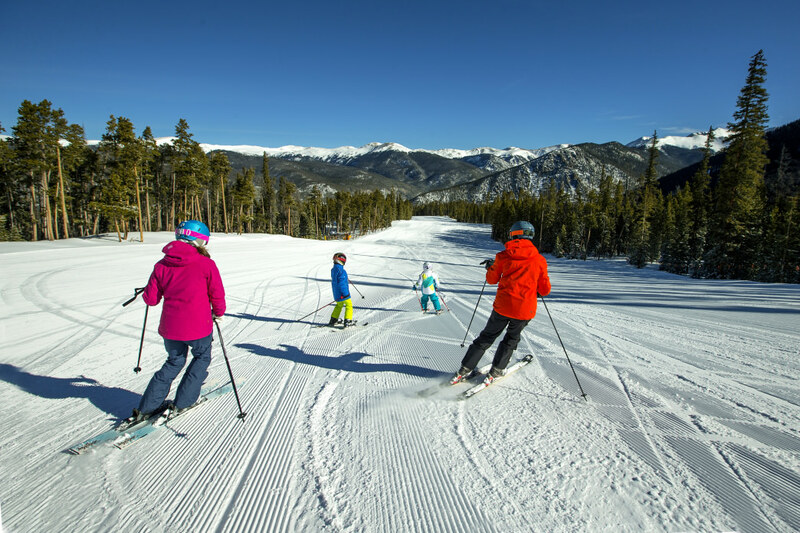 Once you’ve introduced your kids to skiing, you’ll have a ready-made family activity that promotes exercise, fresh air, and the scenic outdoors. 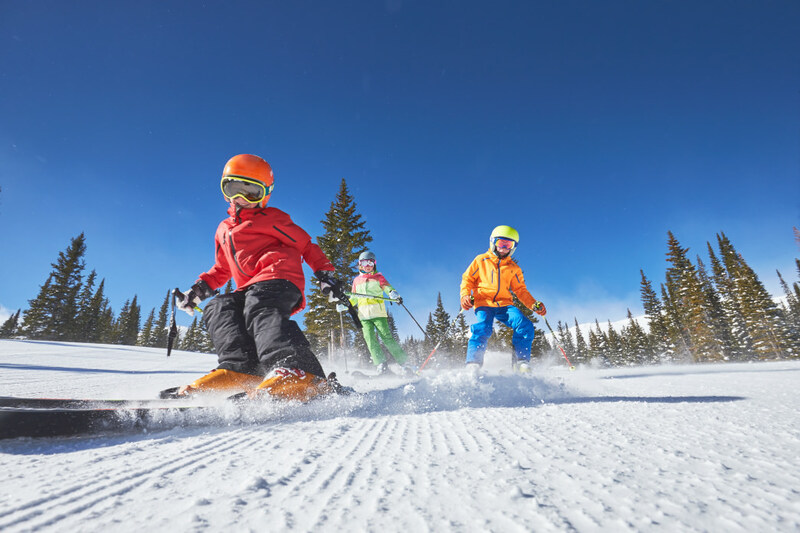 Some of our favorite family memories have taken place in ski resorts and on the slopes, and since skiing and snowboarding are lifelong sports, I know my kids will be enjoying their winters for decades to come! Written by Amy Whitley for RootsRated in partnership with Rent Skis. Wow! Such awesome vital information in regard to skiing, I love skiing in different places, but I was worried to be able skiing in first time! But review this article my confusion is clear, I remember there were awesome days when I’d just skiing in the first time for the fun of it and it was fantastic, Thanks.